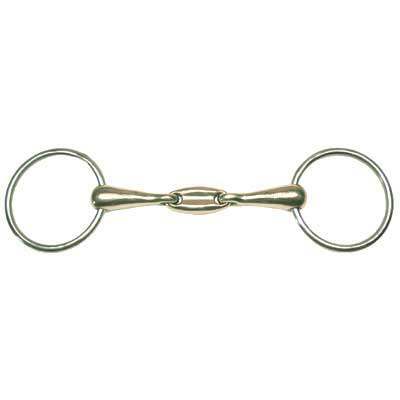 This particular Loose Ring Snaffle Bit is made of premium quality materials and will provide maximum durability even when used on a daily basis. Horse Tack Now is an online horse tack store offering Cyprium Oval Link Loose Ring Snaffle Bits and many other premium quality horse supplies. This item measures 3'' rings and 15mm mouth. Rest assured you are getting only superior quality horse bits here at Horse Tack Now. If you are in need of Snaffle Bits we have just what you need for your horses at unbeatable prices. Can can view the professional crafstmanship that was put into this wonderful bit in the image above. The unbeatable quality of this admirable horse bit makes this one of the finest, yet very durable horse bits available.